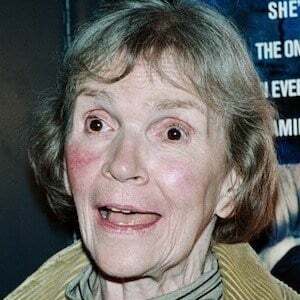 Actress who became known as a renowned theater actress and for her role as Nurse Jackson in the television series Dark Shadows. She graduated from Brown University in 1950. Her performance as Mrs. Lee in the play The Chinese and Dr. Fish earned her a Tony Award nomination for Best Supporting or Featured Actres in 1970. Her mother, Sarah Irene, worked as a secretary while her father, Arthur Ruyter, was an auto mechanic. She played the role of the frightened librarian in Ghostbusters, starring Bill Murray.